Welcome to the World, Baby Felix! As a follow-up to an earlier post, To Thayer, Joey, and Baby, With Love, I’d like to share with you the happy news of Baby Felix’s entrance into the world! 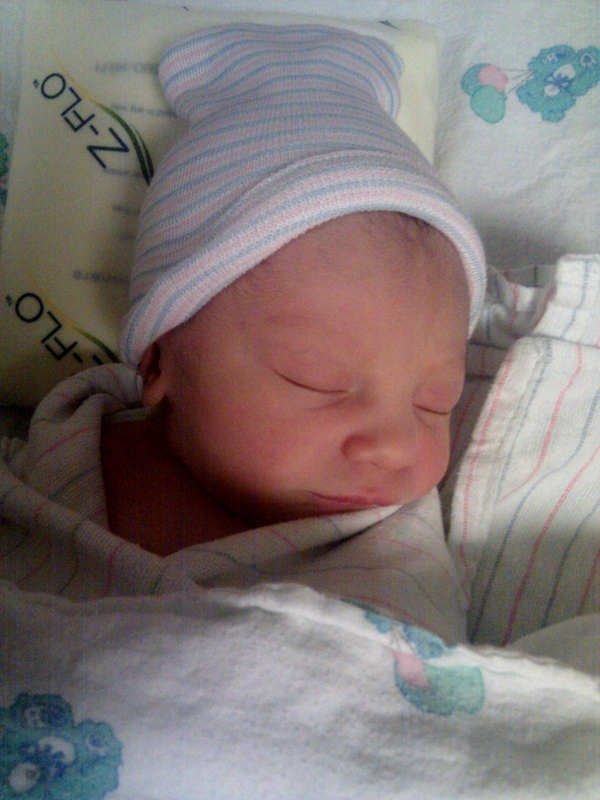 Baby Felix was born on Monday, April 2, 2012. He weighs 6 lbs., 14 oz. and is 20¼ in. long. Although his mom, Thayer, had a challenging labor and delivery, Felix’s dad, Joey was there to give her his love and support. Mom, Dad, and Baby are happy and doing well. Felix’s grandfather, Bill, is ecstatic to be a grandpop again. When we got the news, he and I hugged each other and danced! The whole family is thrilled to welcome Baby Felix, especially River’s mom, Theo, who is absolutely thrilled to be an auntie for the first time! lt is a joy to share such happy news, and to know that Thayer, Joey, and their newborn son have come successfully through the first of what will be many wonderful milestones. We wish their little family all the best!